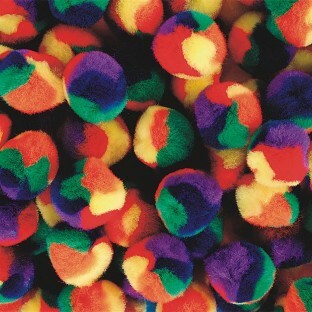 Colorful pom poms for your most creative projects! 1". Pack of 50. When shopping for pom poms be sure to add these unique and enjoyable poms to your shopping list. Kids really love playing with themI work an art museum was truly amazed at all things kids could make with the Tie Dye Pom Poms.